Only a few years ago people who wanted to launch e-commerce sites needed to have extensive programming skills-or hire someone who did. Sometimes it took more resources and expertise to develop the site and keep it running than to manage the core business. Today, those obstacles have been replaced with a plethora of high quality off-the-shelf e-commerce packages. Selling goods and services online has never been easier! Volusion is a good value for almost any size business. It's rich in technological features and affordable price point makes it attainable for almost everyone. The system's primary drawback is limited storage space. Plans range from $15 to $195 per month. Shopify's greatest advantage may be its ease-of-use, but it is also a powerful and feature-packed e-commerce solution. One negative is that the product limits the number of products a category can contain, but it compensates by allowing unlimited categories. Plans range from $29 to $179 per month. 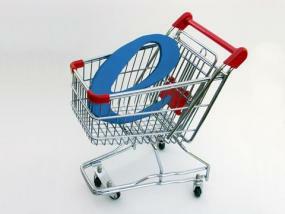 Shopping Cart Elite offers vast capabilities, containing roughly 1,000 features. The one feature this product is missing is side-by-side product comparison. This solution is also pricey, and the pricing structure (pages 47-49) is a bit challenging to decipher. Packages range from $99 to $499 per month, but they are not all inclusive. Some of the plug-ins are as high as $299 per month, and add-on support packages go up to $999 per month. BigCommerce is the technological force behind more than $1.5 billion in transactions, for more than 34,000 e-commerce stores. While the program offers currency conversions, it does not contain multilingual capabilities. Yahoo! Small Business Merchant Solutions is an intuitive e-commerce product for beginners, and it has the staying power to grow with you. This product's limiting factor is its lack of marketing tools. The cost of the package is $29.96 per month. CoreCommerce is another basic, easy-to-use solution for beginners. The product contains no SEO tools, nor does it submit your site to search engines. The base package limits your inventory size. It does not contain a tool for product comparison. Package pricing ranges from $24.99 to $159.99 per month and a 15-day free trial is available. Each of these e-commerce solutions is solid and reputable. All offer help and support, security features, payment gateways, detailed reporting, shopping carts, payment gateways, assistance with site design. Select the option that works best for your business and you'll be on your way to building a successful e-commerce enterprise.